This week we have a review of Australia’s Gold Coast theme parks. 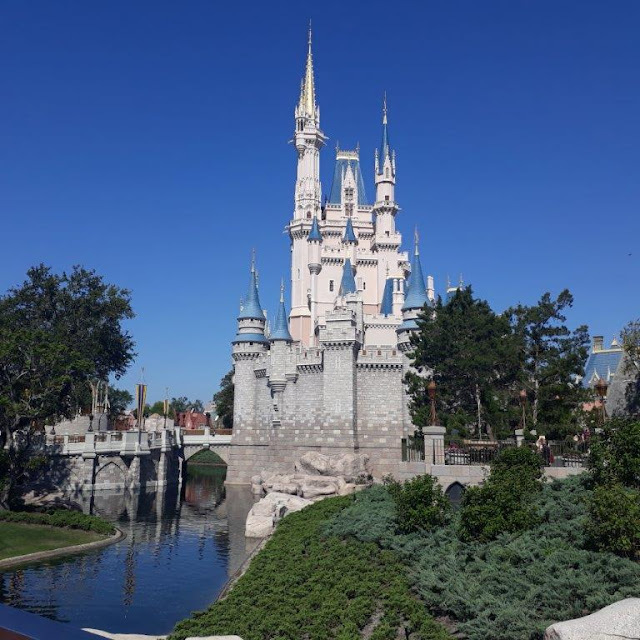 Our guest reviewers are the Brumfield family, a family of 4 - Shaun, Naomi, and their two kids S.B who is six years old and and C.B who is three years old. What parks did you visit in the Gold Coast? Dreamworld, White Water World, Sea World, Movie World and Wet’n’Wild. Did you get any special deals on tickets? Where did you get your tickets? The RAA had cheap tickets available for Dreamworld/White Water World if you are a member. Through RAA we bought a discounted annual pass for each family member that worked out cheaper than buying a multiday ticket each, as we wanted to go to Dream World and White Water World on separate days so we weren’t rushed. Other places to look for cheap tickets is Cudo, Spreets, the Entertainment book and directly on the park web site. When booking anything online and you see a box asking for you promo code do a web search for the promo code. A few might come up and one might be current that will work. I saved $150 dollars off our Virgin Australia airline tickets and $30 off our hire car this way!!!! Did you have a favourite ‘must do’ park. Did this differ amongst members of your family?? We all loved Seaworld as it had a great little kids rides area, lots of fun photo opportunities and of course the chance to see and interact with sea creatures. The reef petting tank was a favourite with the kids and the underwater viewing aquariums of the reef. The monorail really helped in getting around Seaworld. Favourite Rides in each of the parks? Did this differ amongst members of your family? At the waterparks the wave pool was a favourite with both my kids, S.B age 6 and C.B age 3. It was nice relaxing around the pool and going in for a swim too. There were little kids waterslides at Wet’n’Wild that even my youngest C.B who is quite timid enjoyed. At White Water World there were intermediate level waterslides that my 6 yo loved. At White Water World almost every waterslide was open and we went in the off season (July) so we were impressed with that. Wet’n’Wild though only had about half the sides open so that was disappointing but to be expected. What and where did you eat in the parks? Food is very expensive in the parks. Take your own if you can. We were lucky to get some great food and merchandise vouchers with our seasonal pass to Dream World and White Water World. There was not much choice of food at Wet’n’Wild as most food outlets were shut. Dream World and Movie World and Sea World had a lot of choices for eating, unlike the water parks. Were the parks easy to get to from your hotel? We hired a car and it’s pretty easy to navigate on the Gold Coast. We liked the sandwich shop best at Dream World as we could eat something healthy, which is often doesn’t happen on holidays. Where did you stay in the Gold Coast? Recommend? Transport to the parks? We stayed at Paradise Resort as they had a great special on where kids stay, play and eat for free! Saved us heaps of money! The best part being the free 4 hours of kids club each night so the adults could have some relaxation time. Paradise resort was only 1km walk from Cavill Avenue so we would walk there at night when the kids were in kids club and look around, walk on the beach, shop and even had a date night at an Italian restaurant! Paradise resort also had Adult activities scheduled for when the kids were at kids club so you could mingle with other guests. We went to a cheese and wine taster night, it was lots of fun and then there were faces around the resort we knew! Are there adequate nursing/change facilities etc. There were change table toilet available in all the parks so we didn’t have a problem with changing C.B. The water parks both had great change room facilities. C.B is 3 so I did worry that he would tired walking around. But at Sea World there was the monorail and at Dream World there was a train also. So we had a sit down to get to places when the kids got tired. Movie World and the water parks were smaller so the kids didn’t get as tired walking around there. For the readers who don’t know – four people lost their lives on the Thunder Rapids ride in 2016. After the horrible accident at Dream World that ride has closed and safety practices and training on all rides has really tightened up. I’ve heard Dream World is in financial trouble so I’d really like to support them by encouraging people to go there. We had a great day there as there is so much to do there. Tiger Island had a great show and they are doing amazing charitable work to ensure the survival of tigers in the wild. The park was very big and although there were not many people there on the day we went all the attractions were open. So was great value with no queues. The best tip I could give you is this: If you have a little princess go to the Movie World web site and book the “princess of the parade” experience for her. They will make a huge fuss of her. She gets to choose a colourful cloak, sceptre and tiara to wear and the Looney Toons characters pose for photos with her before she gets to ride in a golden carriage in the parade with the other movie world characters! They finish at a set of golden thrones where the two princesses of the parade for the day sit while the parade finishes up. They make such a fuss of them. And the other members of the family aren’t forgotten either, you get to watch your princess in the parade from a VIP area and all the parade characters stop for photos with the VIPs!!!!! Was a fabulous bargain for only $30! Whilst S.B was being driven around in the parade. The black rope area (VIP) was where the rest of our family were waiting for her and was where ALL the characters stop to talk to you and pose for photo. 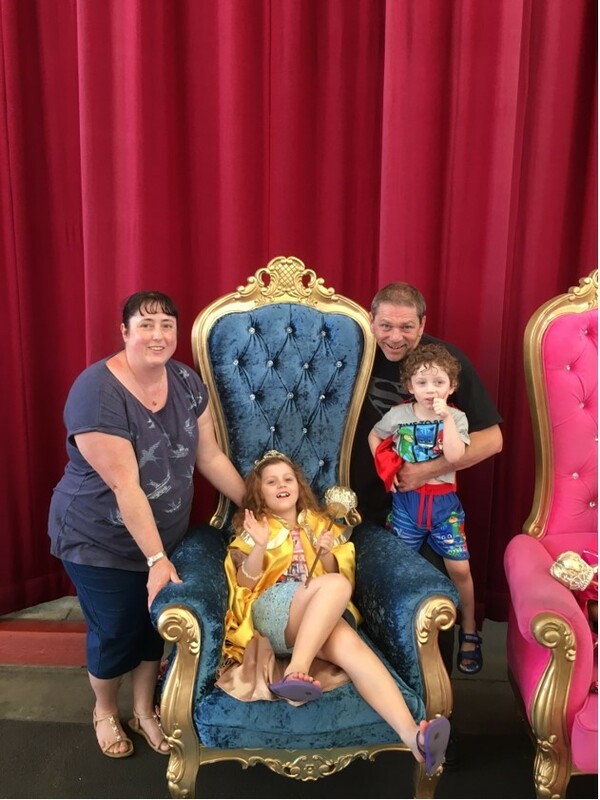 Thanks to the Brumfield family for their review on Australia’s Gold Coast theme parks! I also have set up a Facebook 'Queensland Holiday Planning' Group where you can post your questions and connect with other holiday makers. Whats new at Typo? - Disney gear! !